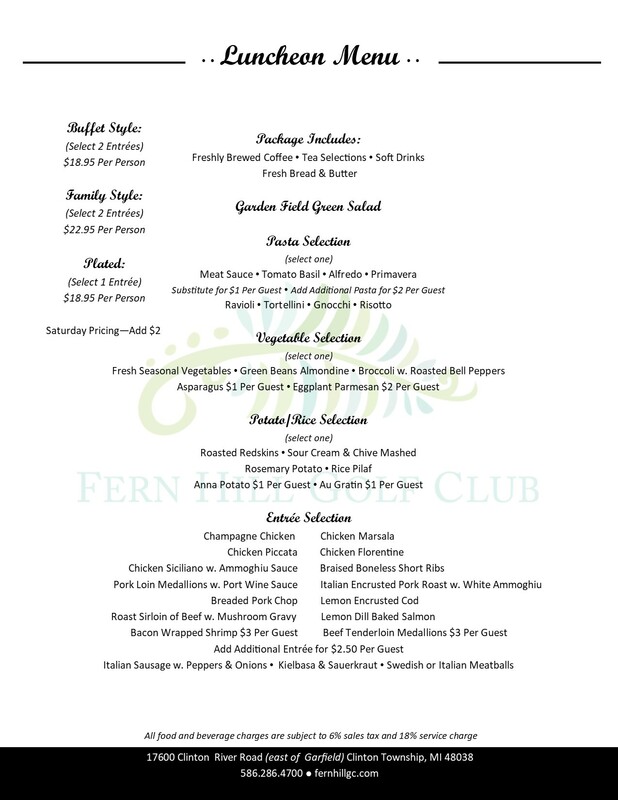 Call 586-286-4700 to Book Your Next Event at Fern Hill! 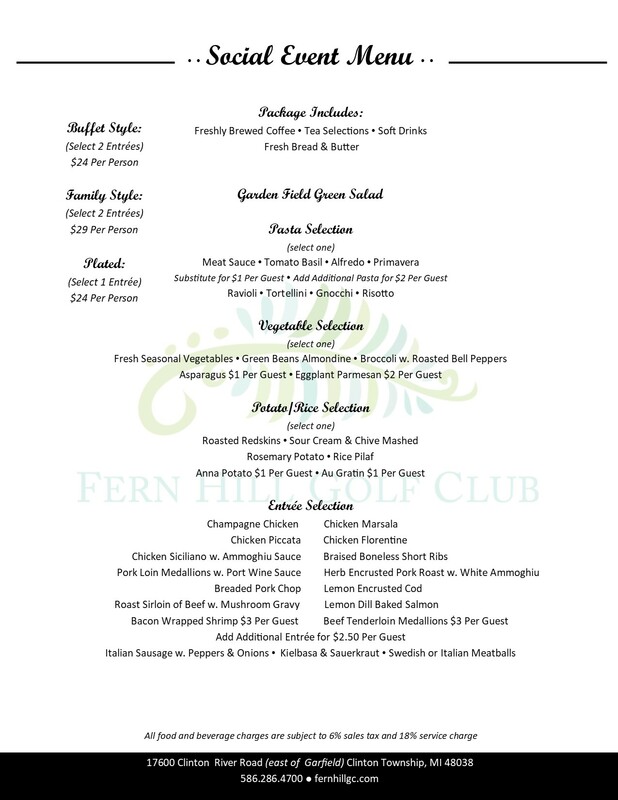 Click below to view the packages and options available from Fern Hill. 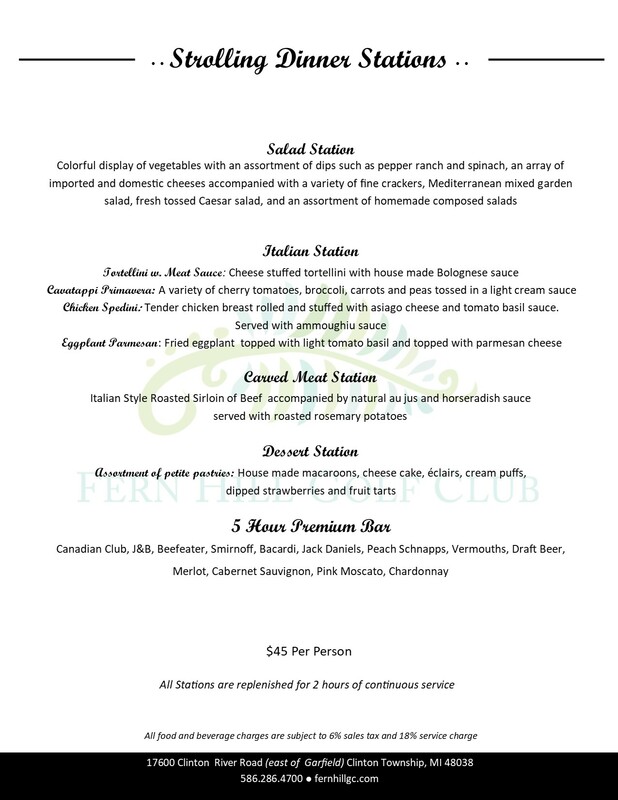 Our largest variety of choices for entrees and serving options along with 6-hour ultra premium bar service. 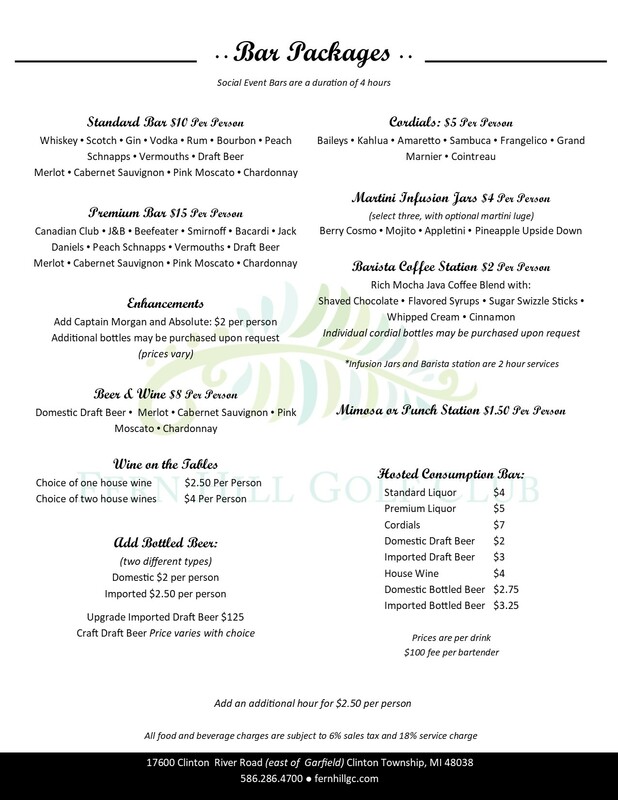 A huge variety of choices for entrees and serving options along with 6-hour premium bar service. Offers a variety of choices for entrees and serving options along with 6-hour standard bar service. 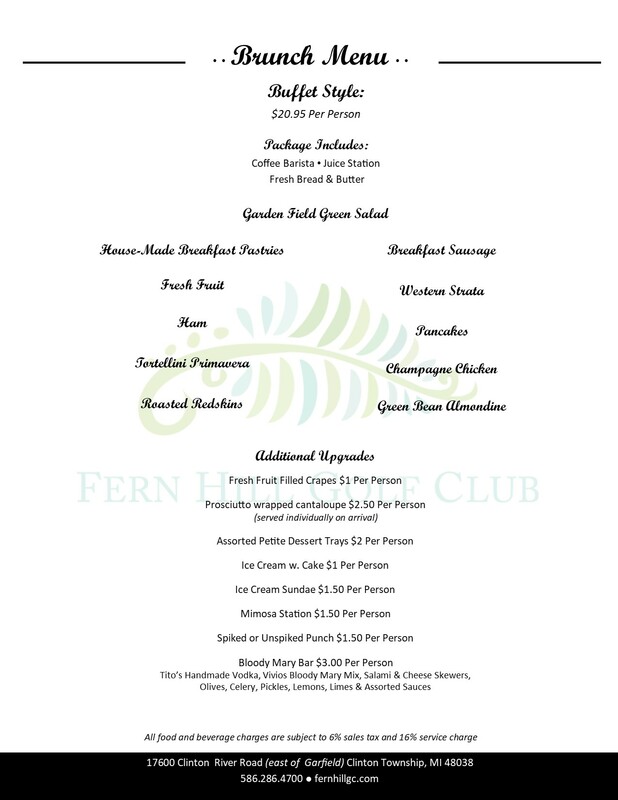 Features individually plated entree and meal options along with 6-hour premium bar service. Click to view our bar level options and various upgrade options available for your event. Our select options for hors d'oeuvres stations and table side presentations. Click to view additional information regarding our facility, policies and requirements. A variety of options for later in the evening that can be added to any event selection. View our chilled and hot options for appetizer selections to be passed during your event. 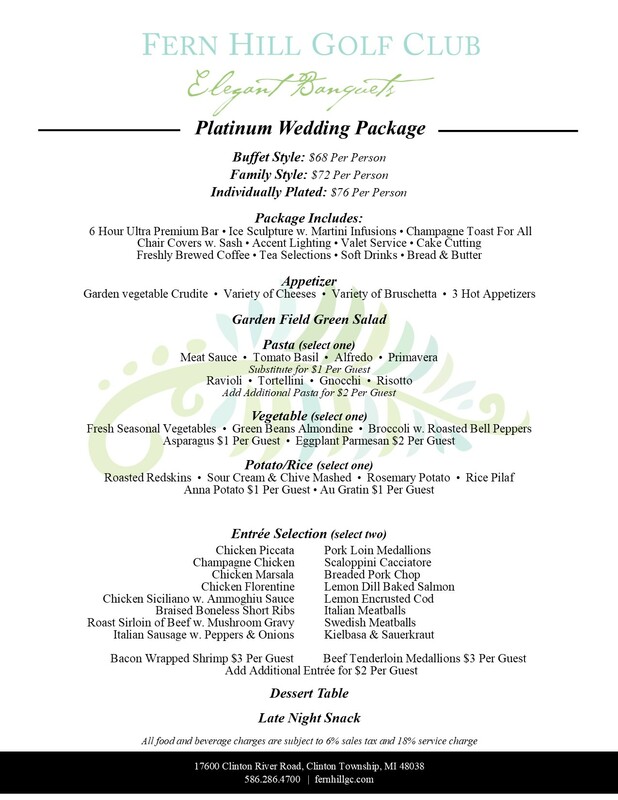 Additional wedding upgrade options featuring our house specialty meats, seafood and pastas. Assorted desserts, pastries and treats available to suit your party guests. 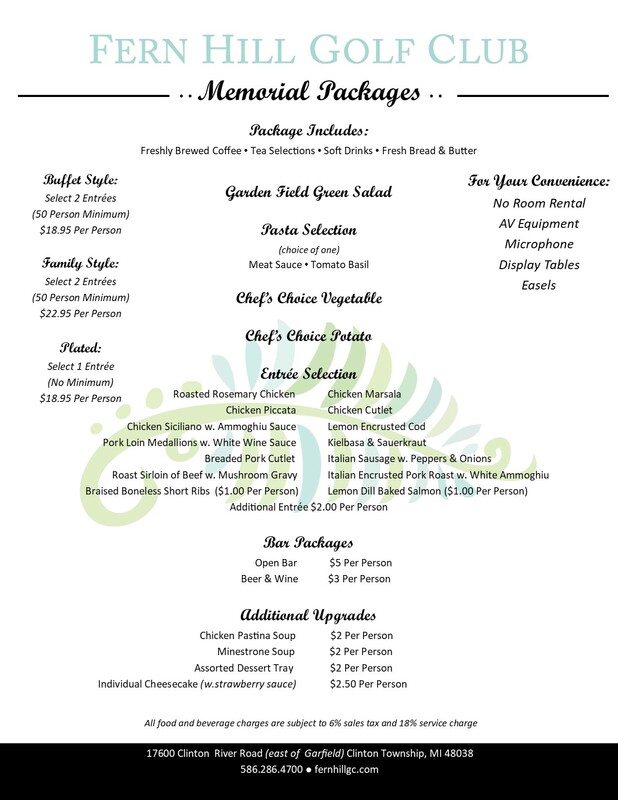 Options for your memorial luncheon. Buffet style brunch & upgrade options. Three service styles to choose from. 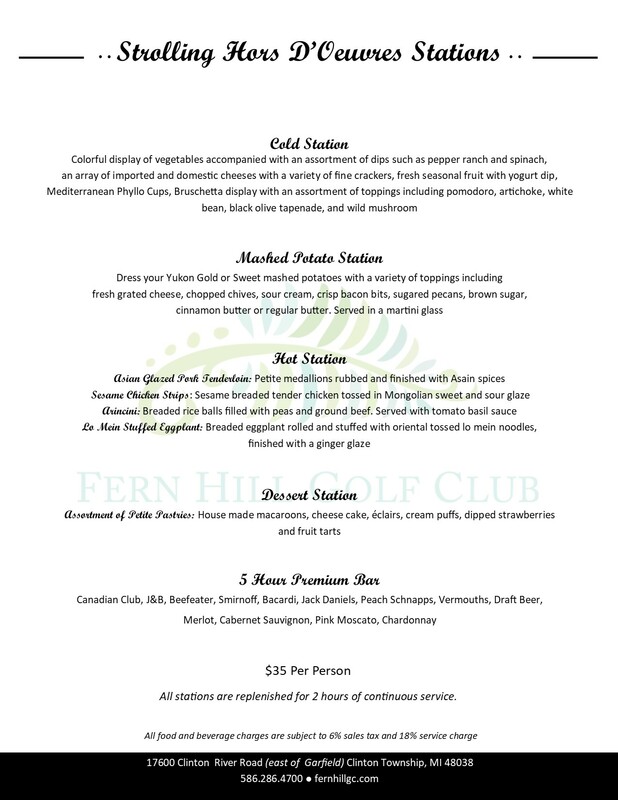 Private event menu options & choices. Options for hot and cold stations. A variety of station choices for dinner. View our levels of event bar options. 50 person minimum catering options. Click below to view our room sizes and layouts.